Our youthful and fresh innovative clothes, footwear and accessories boost our philosophy of independence, creativity and total positivity. 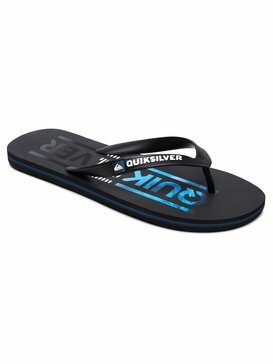 We demonstrate this in every Quiksilver product, including our great kids sandals. Little feet should always feel comfortable and be protected and Quiksilver sandals at good deal prices make no exception to this. There is nothing quite like kids summer holidays. This outdoor season is time for mega fun, and having good quality, comfortable, cheap kids sandals is essential, especially for walking and exploring. 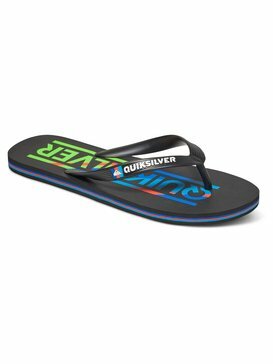 There is a fantastic selection of top quality, cheap kids sandals on offer at outlet prices, and you can be certain that our innovative designs and colour prints are cutting-edge. 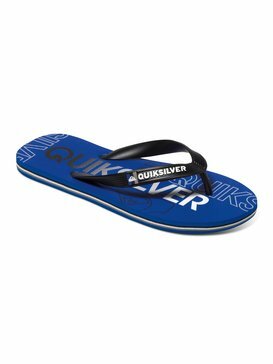 Our trendy Quiksilver logo is featured on all our cheap kids sandals, and looks super cool, so the kids will be showing off their sense of style too. 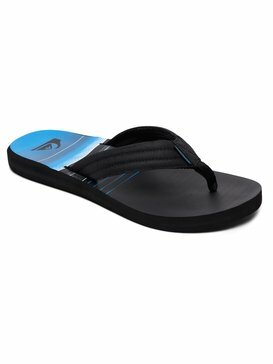 We are constantly adding new designs, and offer cheap kids sandals with cotton uppers, boasting bright, fun, off-the-wall T-shirt style summer graphics. There is usually a selection of cotton canvas uppers with a soft lining and water-friendly properties, as well as a correcting arch support that is essential for growing kids, a non-slip, textured foot-bed, and robust rubber outsoles. And there is always a fabulous selection of brilliant, rubber-like flip-flops that come in a range of innovative designs. 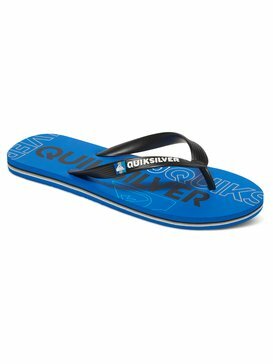 Quiksilver knows what is needed to support little feet, all the while not forgetting the all-important aspect of looking good! 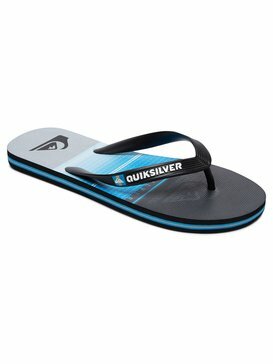 So take a look at our excellent quality, super-cool cheap kids sandals at Quiksilver!